When you purchase a new, matching set of four (4) select Pirelli tires you may be eligible to receive a $70 Prepaid Mastercard® Card via mail-in rebate. Offer valid on qualifying tires purchased at an authorized dealer, and picked-up or installed between 12:00 a.m. EDT April 19, 2019 and 11:59 p.m. EDT April 28, 2019. This rebate offer is valid only for legal residents of the 50 United States, the District of Columbia and Puerto Rico including APO/FPO addresses who are 18 years or older and are individual consumers. The offer does not apply to Canadian residents. Rebate requests must be postmarked by May 28, 2019. Not valid with other offers. Void where taxed, restricted or prohibited. PO boxes will not be paid, except in North Dakota. Allow six to eight weeks after mailing for delivery of your prepaid card. Limit one offer per envelope and two offers per name/household/address. Pirelli reserves the right to confirm identification and request additional proof of purchase to substantiate claim. Fraudulent submissions could result in federal prosecution under US Mail fraud statutes (18 USC Sections 1341 and 1342). This promotion is subject to all federal, state and local laws and regulations. Please retain copies of the materials you submit. All requests become the property of Pirelli and will not be returned. Pirelli is not responsible for any late, lost, illegible, postage due or misdirected mail. 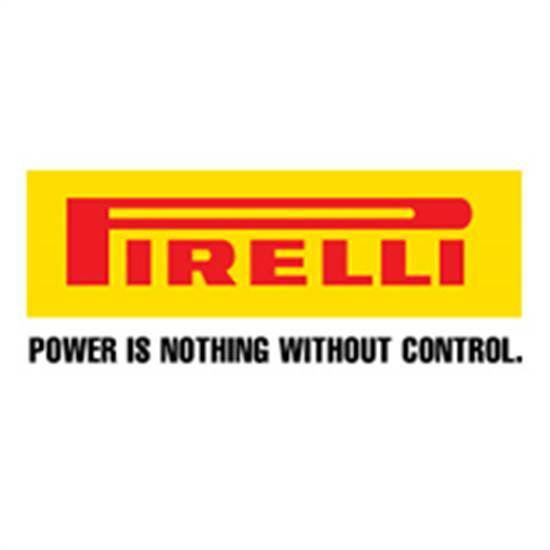 Pirelli reserves the right to cease making the claim form available online due to electronic, programming or technological problems/malfunctions/failures of any kind. This Card is issued by Sunrise Banks N.A., Member FDIC, pursuant to a license from Mastercard International Incorporated. Mastercard is a registered trademark of Mastercard International Incorporated. Use of this card constitutes acceptance of the terms and conditions stated in the Cardholder Agreement. Cards will not have cash access and can be used everywhere Mastercard debit cards are accepted. Card expires. To check the status of your rebate visit www.rapid-rebates.com/pirelli. For additional inquiries, please call 888-483-2469. When you purchase a set of four (4) select General passenger or light truck tires you may be eligible to receive up to a $70 General Tire Visa® Prepaid Card by mail-in rebate. Offer valid on qualifying tires purchased at an authorized dealer, and picked-up or installed between 12:00 a.m. EST March 1, 2019 and 11:59 p.m. EDT April 30, 2019. To receive up to a $70 General Tire Visa® Prepaid Card by mail your completed redemption form must include a valid email address and current, residential street address of the purchaser only. Mail the original dated paid invoice with the completed redemption form to the address below. Invoice must show the purchase of four (4) qualifying General Tire brand tire during the promotional period. 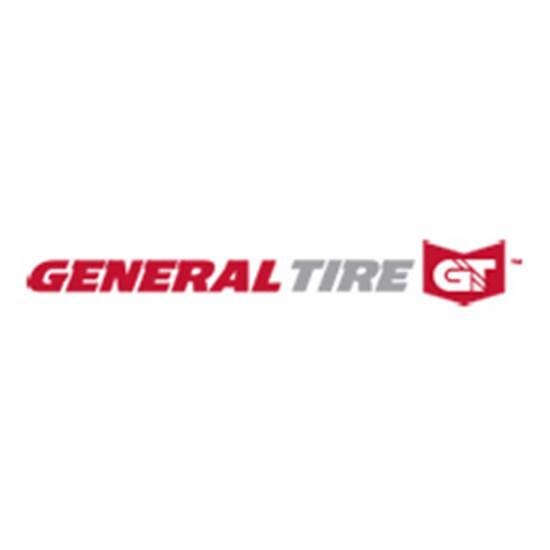 Your redemption must be postmarked by or submitted online at www.generaltire-rebates.com (valid email address required) by May 31, 2019. Late submissions will not be accepted. Mail-in rebate with purchase offer: valid only with qualified purchase made in the 50 U.S. States, District of Columbia, and Puerto Rico including APO/FPO addresses between March 1, 2019 and April 30, 2019 or while supplies last. Void where prohibited by law. No rain checks. Valid with the original, dated, paid receipt for the purchase of four (4) new qualifying General Tire passenger or light truck tires from a participating retail dealer and a completed redemption form. Offer may not be combined with any other offer, discount, rebate, or promotion. Tires must be purchased in a single transaction. Offer not valid on purchases by wholesalers, dealers, fleets, OEM customers or other commercial entities or returned merchandise. Requests from those with an invalid or undeliverable mailing address will be denied. Limit two (2) General Tire Visa Prepaid Cards per household. Visa Prepaid card is given to you as a reward, refund, rebate or gift and no money has been paid by you for the card. Card is issued by Metabank®, member FDIC, pursuant to a license from Visa U.S.A. Inc. No recurring payments. Valid for 12 months after the date of issuance. Unused funds will be forfeited after the valid thru date. Card terms and conditions apply. Cards will not have cash access and can be used everywhere Visa Debit cards are accepted. Not responsible for late, lost, stolen, misdirected, illegible, mutilated, or postage due mail or inability to connect to website. Any taxes, fees or costs are sole responsibility of recipient. Allow 8-12 weeks for fulfillment. Each time you use the card, the amount of the transaction will be deducted from the amount of your available balance. Card will be issued in the name on the redemption form only. Expiration date of card is stamped on front of card. Subject to applicable law. Card is non-transferable and non-refundable. Cards will not be reissued if lost, stolen, or after expiration date. Additional terms and conditions apply to the prepaid card. See card program website for details. Visit www.generaltire.com for redemption form and complete offer conditions and restrictions. Warning: tampering with, altering or falsifying purchase information constitutes fraud and could result in state and federal prosecution. Fraudulent submissions will not be honored. All decisions made by General Tire (or its authorized representatives) regarding the validity of any submission are final and binding. General Tire reserves the right to request additional information to substantiate the claim. Photocopy your entire submission for your records. You could be required to mail these photocopies. Purchase a set of four (4) Yokohama select tires for a single vehicle and you may be eligible to receive up to a $100 Yokohama Visa® Prepaid Card or Visa Virtual Account. Offer valid on qualifying tires purchased at an authorized dealer, and picked-up or installed between 12:00 a.m. EDT April 1, 2019, and 11:59 p.m. EDT April 30, 2019. 1. Take a clear picture of your invoice. 3. Fill out the online redemption form. 4. Upload the picture of your invoice. 5. Click Submit - and you’re done! 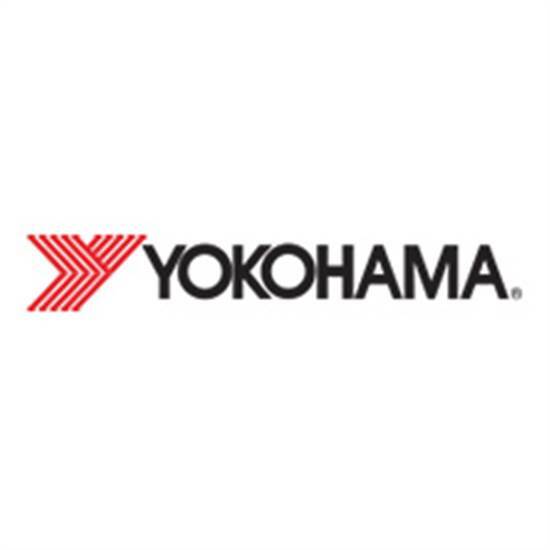 You must submit your redemption online at yokohamatirerebates.com no later than May 31, 2019. Late submissions will not be accepted. Limit 2 Yokohama Visa Prepaid card redemptions per household, customer or email address. Purchase must be four tires for a single vehicle. The required invoice for a second redemption per household, customer or email address must show purchase of an additional set of four tires for a different vehicle than the one referenced in the first redemption. Claims of lost materials will not be honored unless accompanied by proof of receipt of materials by sponsor, such as proof of certified mailing. Sponsor reserves the right, in its sole discretion, to withdraw or amend this offer in any way or to amend these terms and conditions without prior notice or obligation. Offer valid only for legal US residents physically residing in the 50 United States and District of Columbia including APO/FPO addresses. This offer is not valid for commercial, fleet, or employee purchases. This offer is not valid with any other Yokohama offer, except for rebates under the Friends & Family or Partner Perks Programs. Void where prohibited by law. Rebate in the form of Yokohama Visa Prepaid Card or Yokohama Visa Virtual Account. Visa Prepaid Card and Visa Virtual Account are issued by MetaBank®, Member FDIC, pursuant to a license from Visa U.S.A. Inc. No cash access or recurring payments. Visa Prepaid Card can be used everywhere Visa debit cards are accepted. Visa Virtual Account can be redeemed at every internet, mail order, and telephone merchant everywhere Visa debit cards are accepted. Allow 6-8 weeks for Prepaid Card delivery. Terms, conditions and expiration apply. Full rules and terms can be found at www.yokohamatirerebates.com. Please retain copies of all materials you submit. To track the status of your rebate, go to yokohamatirerebates.com or call 877-773-7723. When you purchase a set of four (4) new select Cooper brand passenger or light truck/SUV tires (in a single transaction) you may be eligible to receive up to a $100 Cooper Tires Visa® Prepaid Card via mail-in rebate or a Cooper Tires Prepaid Mastercard® Virtual Account. Offer valid on qualifying tires purchased at an authorized dealer, and picked-up or installed between 12:00 a.m. EDT April 1, 2019 and 11:59 p.m. EDT April 30, 2019. You will need to complete the official redemption form and submit it, along with your invoice. This offer is not transferable, so the name on the form must match the name on the invoice. Please print clearly in large capital letters. This is the name that will appear on your Visa® prepaid card or your Prepaid Mastercard® Virtual Account. Include the original dated invoice, which must show the qualifying Cooper Tires and purchase price. Work orders will not be accepted. Circle the tires and size purchased, which must be one set of four of the qualifying Cooper Tires. Substitutions are not eligible. Please do not use staples when sending your information. No reward will be issued for requests that are not properly submitted (including by not including the documentation described). Late submissions will not be accepted. Apply for your reward online or via mail. This offer is not transferable, so the name on the form must match the name on the sales receipt. 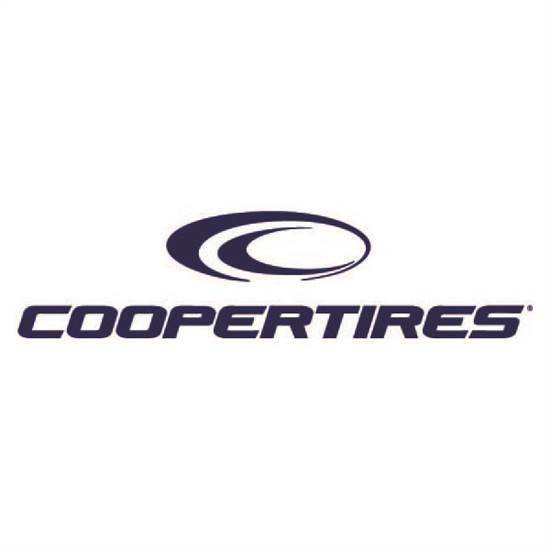 Apply online at www.us.coopertire.com/promotions and follow the directions to enter in your name, address and upload your receipt. Reward requests must be postmarked or submitted online no later than May 30, 2019 and received no later than June 15, 2019. This mail-in rebate offer is open to consumers who are legal residents of the 50 United States and District of Columbia, and Puerto Rico including APO/FPO addresses making purchases in participating retail stores in those locations for personal household use. The offer does not apply to Canadian residents. This offer is not transferable and is valid only for the individual who purchased four new qualifying Cooper tires in a single transaction for personal household use. Void where restricted or prohibited by law. Properly submitted and verified claims will be provided with the reward (as described below) in U.S. dollars in the form of either a (i) Cooper Tires Visa® Prepaid Card to be mailed to the address provided on this official form or (ii) Cooper Tires Prepaid Mastercard® Virtual Account to be emailed to the email address provided on this official form, as selected on the official form. If no selection is indicated, a Cooper Tire Visa® Prepaid Card will be issued. Visa Prepaid Card is issued by MetaBank®, Member FDIC, pursuant to a license from Visa U.S.A. Inc. Card can be used everywhere Visa debit cards are accepted. Prepaid Mastercard Virtual Account is issued by MetaBank, Member FDIC, pursuant to license by Mastercard International Incorporated. Mastercard is a registered trademark, and the circles design is a trademark of Mastercard International Incorporated. Virtual Account can be used at every internet, mail and/or telephone merchant everywhere Debit Mastercard is accepted. No cash access or recurring payments. Pay close attention to the expiration date of the Prepaid Card. Card/virtual account valid for up to 6 months; unused funds will be forfeited at midnight Eastern Time the last day of the month of the valid thru date. Terms and conditions apply, MyPrepaidCenter.com/site/visa-promo for Cooper Tires Visa® Prepaid Card or MyPrepaidCenter.com/site/Mastercard-virtual for Cooper Tires Prepaid Mastercard® Virtual Account. Failure to activate or use your card/virtual account will void the offer and relieve Cooper Tire & Rubber Company ("Sponsor") of any further obligation. Lost, unused, or unused balances on cards/virtual accounts will not be replaced after the expiration date. The card/virtual account is subject to the terms and conditions placed on it by its issuer. Sponsor reserves the right to substitute an alternative reward of equal or greater value. Limit of one reward per new set of four qualifying tires purchased in a single transaction. Purchases must be for household use, and offer is limited to two claims per person, family, household, email or address. Requests from groups, organizations or businesses will not be accepted. Offer is not available to the affiliated dealers of Sponsor, their respective owners and employees or immediate family members of such owners or employees. Offer not valid for business or fleet vehicles. Purchaser is responsible for all applicable taxes and other fees. This offer may not be combined with any other offers from Sponsor. Keep copies of all documents for your records, as well as a record of the date your reward request was submitted. All submitted documents will become the property of Sponsor and will not be returned. Please allow 6 to 8 weeks after Sponsor receives the request for the delivery of your Visa prepaid card or Prepaid Mastercard Virtual Account. If card/virtual account is not received within 8 weeks, contact a Sponsor representative by calling 833-396-8074. You must notify Sponsor of any claim of non-delivery of your Visa prepaid card or Prepaid Mastercard Virtual Account no later than August 15, 2019. Claims of "lost materials" will not be honored unless accompanied by proof of receipt of materials by Sponsor, such as proof of certified mailing. If you claim a reward was not delivered or was improperly denied, you will be required to furnish Sponsor with a copy of all materials you submitted for verification. Incomplete requests will delay processing. If any request is submitted by the deadline but is incomplete, Sponsor's representative will notify the sender by mail or email, and you must resubmit the request with all missing information within 10 days of receipt of such notice, together with a copy of the notice. All decisions made by Sponsor (or its authorized representatives) relating to the validity of any submissions are final and binding. U.S. mail fraud statutes prohibit acts devised to defraud or obtain money or property by means of false or fraudulent pretenses if the postal system is involved. This would include, among other things, the use of fictitious or assumed names or addresses in order to receive multiple offers. Tampering with, altering or falsifying purchase information constitutes fraud. Sponsor assumes no responsibility for any error, omission, interruption, deletion, defect, delay in operation or transmission, communications line failure, theft or destruction, or unauthorized access to, or any technical failure of any kind, including, but not limited to malfunctions, interruptions, or disconnections in phone lines or network hardware or software. Sponsor is not responsible for the security or privacy of information transmitted via computer networks or for breaches of privacy due to interference by third party computer "hackers" or otherwise. All decisions made by Sponsor (or its authorized representatives) relating to the validity of any submissions are final and binding. Sponsor reserves the right to disqualify any individual who fails to comply with these terms and conditions or who disrupts or otherwise attempts to affect the administration, security, fairness, integrity, or proper conduct of this offer. Sponsor reserves the right to confirm the identity of any reward recipient, including collecting information about the recipient from third parties. Sponsor is not responsible for delayed, postage due, illegible, damaged, mutilated, late, lost, incomplete, stolen or misdirected requests or for typographical or printing errors or other technical problems associated with, or in any materials for, this offer. If you have questions about this offer, contact Sponsor by calling 833-396-8074. 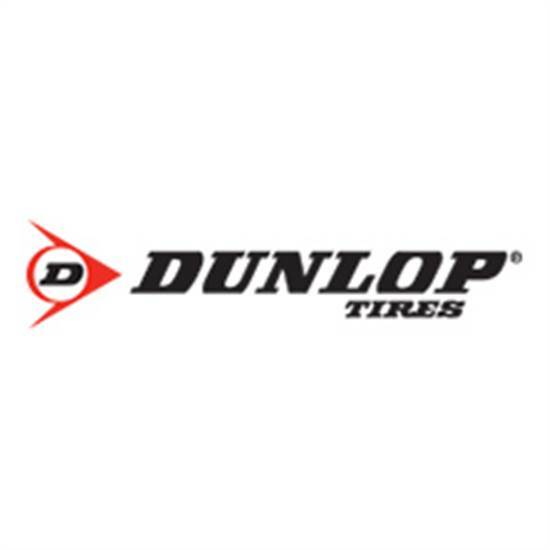 To qualify to receive a $75 Dunlop Prepaid Mastercard® Card by mail-in rebate you must purchase a set of four select Dunlop tires. Offer valid on qualifying tires purchased at an authorized dealer, and picked-up or installed between 12:00 a.m. EDT April 1, 2019 and 11:59 p.m. EDT April 30, 2019. Orders for tires that are not in stock during the offer period are not eligible for this offer. Rebate is on a set of four tires. If your vehicle requires six tires, rebates are available on a prorated basis for the two additional tires. The prorated rebate amount, per additional tire, is 25% of the rebate amount listed above. The minimum purchase is a set of four tires and the maximum purchase is six tires per invoice. Offers available only at participating U.S. Warehouse Owned Retailers and websites. Get your Dunlop Prepaid Mastercard® faster if you submit at www.GoodyearTireRebates.com. You’ll need to enter offer number 718057 and upload a copy of your invoice. Submissions must be completed and postmarked by May 31, 2019. Invoice must have eligible tire name and proof of purchase clearly indicated. Limit one mail-in rebate per qualifying purchase, per visit. Limit four (4) rebates per individual consumer per promotion period. Cannot be combined with other Goodyear or Dunlop rebate offers. Offer valid only for U.S. residents (50 U.S. states and D.C.) who are individual consumers with mailing addresses in the U.S. or U.S. territories (American Samoa, Guam, Northern Mariana Islands, Puerto Rico, & U.S. Virgin Islands) and APO/FPO addresses. This offer does not apply to Canadian residents. Commercial fleets are not eligible for these rebates. Not valid on previous purchases. Rebate offered by Goodyear. Allow 6 to 8 weeks for Prepaid Card delivery. Goodyear reserves the right to substitute a check of equal value in lieu of a Prepaid Card at its discretion. Fraudulent submissions will not be honored and may be prosecuted. Sponsor is not responsible for noncomplying rebate submissions or for lost, late, illegible, postage-due or undeliverable mail. Noncomplying rebate submissions will not be honored, acknowledged or returned. Void where taxed, restricted or prohibited by law. All decisions made by Goodyear (or its authorized representatives) relating to the validity of any submissions are final and binding. This promotion is subject to all federal, state, and local laws and regulations. Retain copies of the materials you submit. Rebate paid in the form of a Dunlop Prepaid Mastercard®. This Card is issued by Sunrise Banks N.A., Member FDIC, pursuant to a license from Mastercard International Incorporated. Mastercard is a registered trademark of Mastercard International Incorporated. This card may be used everywhere Mastercard debit cards are accepted. Registration, activation, acceptance, or use of this card constitutes acceptance of the terms and conditions stated in the Prepaid Card Agreement. Goodyear is not affiliated with Mastercard. Prepaid Cards will not have cash access. Each time you use the Card, the amount of the transaction will be deducted from the amount of your available balance. Card will be issued in the name on the redemption form only. Card expires after 6 months, subject to applicable law. Card is non-transferable and non-refundable. Terms and conditions apply to the Prepaid Card. Certain fees may apply. See Prepaid Card for details. To check the balance of your Card or receive the terms and conditions, visit https://login.wirecard.com/goodyearrebates or call 800-522-7458. For additional questions or to check the status of your rebate, you may visit GoodyearConsumerRebates@acbcoop.com or call Goodyear Rebate Customer Service at 844-539-5503 weekdays, 8 a.m. to 8 p.m. EST; Saturday 8 a.m. to 1 p.m. EST. 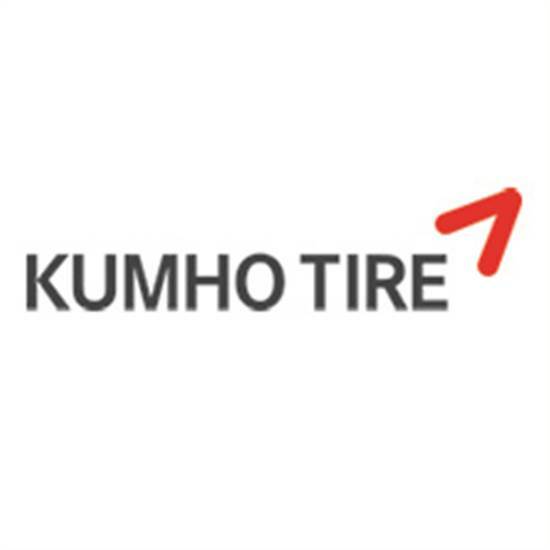 Purchase a set of four (4) qualifying Kumho brand tires and you may be eligible to receive a $100 Kumho Prepaid Mastercard via mail. Offer valid on qualifying tires purchased from Subaru retailer, and picked-up or installed between 12:00 a.m. EDT April 1, 2019, and 11:59 p.m. EDT April 30, 2019. Offer not valid if tires are returned. The name on the redemption form and invoice must match. Your submission must be postmarked by May 20, 2019 and received by May 24, 2019. Please allow four (4) to six (6) weeks for delivery of the Kumho Prepaid Mastercard. To check the status of the prepaid card, please contact the Promotion Administrator’s customer service department by calling 888-981-3953. Prepaid card will be issued in the name on the redemption form only. Please retain copies of all materials you submit. All submissions become the property of the Promotion Administrator and will not be returned. The Promotion Administrator is not responsible for any lost, late, damaged, misdirected, postage-due, incomplete, incorrect, or illegible mail. You must be a legal U.S. resident, 18 years of age or older to be eligible for this offer. Offer valid only in the 50 United States and the District of Columbia (includes APO/FPO addresses). The offer does not apply to Canadian residents. Name on redemption form and invoice MUST be the same. Limit one Kumho Prepaid Mastercard per household. Offer applies only to purchases made by retail customers. Sales to Original Equipment manufacturers, fleets, wholesalers, commercial accounts, and purchases for resale are not eligible for this offer. Tampering with, altering, or falsifying purchase information constitutes fraud. All decisions made by the Promotion Administrator relating to the validity of any submissions are final and binding. This offer is void where restricted or otherwise prohibited by law. This offer is subject to all federal, state, and local laws and regulations. Not valid with any other consumer offer. Offer is non-transferable. No substitutions will be permitted. The Promotion Administrator reserves the right to modify or discontinue this offer at any time for any reason. Prepaid card is given to you as a reward, refund or rebate and no money has been paid by you for the card. Card is issued by MetaBank®, Member FDIC, pursuant to license by Mastercard International Incorporated. Mastercard is a registered trademark, and the circles design is a trademark of Mastercard International Incorporated. No cash access or recurring payments. Card valid for up to 6 months; unused funds will forfeit after the valid thru date. Card terms and conditions apply. Hawk Incentives, a Blackhawk Network business shall use customer information as provided by Tire Rack only to the extent necessary to provide prepaid card fulfillment and supporting services on Tire Rack's behalf and shall not use such customer information for any other purpose, including, without limitation, the marketing of products or services to such customers. IMPORTANT NOTE: Subaru retailers must purchase tires from the Subaru Tire Center in order for consumers to be eligible for this offer. No exceptions for purchases made outside of the Subaru Tire Center will be granted. 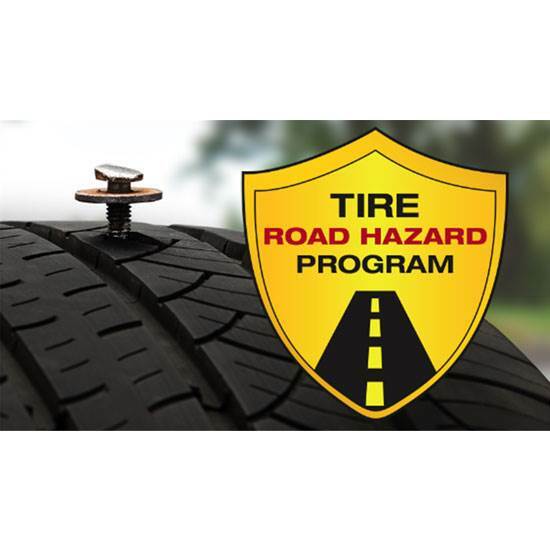 Tires must be sold to the consumer between April 1, 2019 and April 30, 2019 to be eligible. Purchase a set of four (4) select Hankook tires within the same pattern and you may be eligible to receive up to a $60 Hankook Prepaid Mastercard by mail-in rebate. Tires must be purchased from dealer in-stock inventory between 12:00 a.m. EDT April 1, 2019, and 11:59 p.m. EDT May 5, 2019. To receive your mail-in rebate send the completed official rebate application form and the original sales invoice for the purchase of a set of four (4) qualifying tires during the dates of the promotion. The original invoice must include the name of the retailer, date of purchase, description and price of product(s) purchased and method of payment. Please circle the qualifying rebate product on your original receipt. Customer must fully complete and follow the instructions stated on the rebate application form. Limited to two (2) mail in rebate offer per person, household, or address. Offer requires a purchase of four (4) qualifying tires (a set) within the same pattern. Not valid with any other offers. Offer valid in the United States and Puerto Rico only (includes APO/FPO addresses) to retail consumers and is not valid where restricted, taxed or prohibited by law. This offer does not apply to Canadian residents. Rebate Submissions must be postmarked or submitted online 30 days from purchase date. Any rebate applications and original receipts that do not have all of the required information and documentation will not be processed. Any and all claims that do not meet these submission requirements will be rejected. Rebate submissions that include false, altered, or forged purchase information will be considered invalid and fraudulent. All decisions made by Hankook Tire America Corp. are final. Rebate payment will be sent within 8-10 weeks of receipt of a qualified submission. Purchased tires cannot be returned, or rebate is no longer valid. Commercial, Fleet or Warranty replacement purchases are not eligible for the mail-in rebate. This offer is no longer valid if not fully redeemed within 2 months from purchase date. Hankook Tire America Corp. and its Rebate Processing Center are not responsible for lost, damaged, postage due or misdirected mail. All properties sent as part of the rebate application become the property of Hankook Tire America Corp. and will not be returned. As such, it is recommended that you make photocopies of your rebate submission and all supporting documents. Card is issued by MetaBank®, Member FDIC, pursuant to license by Mastercard International Incorporated. Mastercard is a registered trademark, and the circles design is a trademark of Mastercard International Incorporated. No cash access or recurring payments. Card valid for up to 6 months; unused funds will be forfeited at midnight EST the last day of the month of the valid thru date. Card terms and conditions apply, see MyPrepaidCenter.com/site/Mastercard-promo. To submit or check the status of your rebate go to www.hankooktirerebates.com. If you have not received information after 6 weeks, please call 844-618-6947. 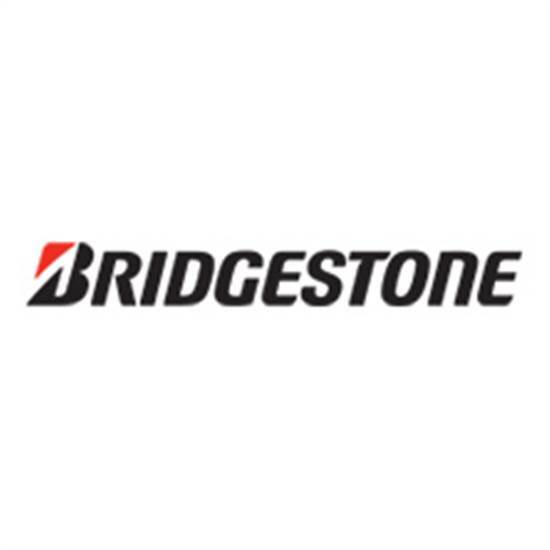 When you purchase a set of four (4) select Bridgestone tires you may be eligible to receive a $70 Bridgestone Visa® Prepaid Card after mail-in rebate. Offer valid on tires purchased at an authorized dealer, and picked-up or installed between 12:00 a.m. EDT April 4, 2019 and 11:59 p.m. EDT May 6, 2019. *An invoice will also be shipped with your order. All submissions must be filed online at BridgestoneRewards.com or received by mail no later than May 16, 2019. OFFER EXCLUDES COSTCO AND BJ’S WHOLESALE PURCHASES. Reward will be fulfilled with a Bridgestone Visa Prepaid Card by mail. Limit one (1) reward per each set of four (4) tires purchased, limit two (2) rewards per household, customer or address. Visa prepaid card may be used everywhere Visa debit cards are accepted. Certain limitations apply. See Cardholder Agreement. Not redeemable for cash. Please allow 10-12 weeks for the receipt of the prepaid card. Visit BridgestoneRewards.com or call 800-926-3716 to check the status of your claim after 4 weeks. 1. Retail purchasers only. Offer excludes commercial, fleet and group purchases, employee changeovers, and warranty replacement purchases. Offer valid only in the 50 United States and the District of Columbia (includes APO/FPO addresses) while supplies last. The offer does not apply to Canadian residents. Void in PR and where prohibited. Must be 18 or over. No special orders or rain checks. Claim form required. Cannot be combined with any other offer. Purchase a set of four (4) Falken Azenis FK510 tires and you may be eligible to receive a $60 Falken Prepaid Mastercard® after mail-in rebate. Offer valid on qualifying tires purchased from your Subaru retailer, and picked-up or installed between 12:00 a.m. EDT April 1, 2019, and 11:59 p.m. EDT May 31, 2019. Offer not valid if tires are returned. The name on the redemption form and invoice must match. Your submission must be postmarked by June 20, 2019 and received by June 24, 2019. Please allow four (4) to six (6) weeks for delivery of the Falken Prepaid Mastercard. You must be a legal U.S. resident, 18 years of age or older to be eligible for this offer. Offer valid only in the 50 United States and the District of Columbia (includes APO/FPO addresses). The offer does not apply to Canadian residents. Name on redemption form and invoice MUST be the same. Limit one Falken Prepaid Mastercard per household. Offer applies only to purchases made by retail customers. Sales to Original Equipment manufacturers, fleets, wholesalers, commercial accounts, and purchases for resale are not eligible for this offer. Tampering with, altering, or falsifying purchase information constitutes fraud. All decisions made by the Promotion Administrator relating to the validity of any submissions are final and binding. This offer is void where restricted or otherwise prohibited by law. This offer is subject to all federal, state, and local laws and regulations. Not valid with any other consumer offer. Offer is non-transferable. No substitutions will be permitted. The Promotion Administrator reserves the right to modify or discontinue this offer at any time for any reason. Hawk Incentives, a Blackhawk Network business shall use customer information as provided by the Promotion Administrator only to the extent necessary to provide prepaid card fulfillment and supporting services on the Promotion Administrator’s behalf and shall not use such customer information for any other purpose, including, without limitation, the marketing of products or services to such customers. IMPORTANT NOTE: Dealers must purchase tires from TR Wholesale Solutions in order for consumers to be eligible for this offer. No exceptions for purchases made outside of TR Wholesale Solutions will be granted. Tires must be sold to the consumer between April 1, 2019 and May 31, 2019 to be eligible. When you purchase a set of four (4) select Goodyear tires you may be eligible to receive up to a $100 Goodyear Prepaid Mastercard Card by mail-in rebate. Offer valid on qualifying tires purchased at an authorized dealer, and picked-up or installed between 12:00 a.m. EDT April 1, 2019 and 11:59 p.m. EDT June 30, 2019. Orders for tires that are not in stock during the offer period are not eligible for this offer. Or submit the redemption online at www.GoodyearTireRebates.com. You’ll need to enter offer number 718059 and upload a copy of your invoice. Submissions must be postmarked, or submitted by July 31, 2019. Invoice must have eligible tire name and proof of purchase clearly indicated. Allow 6 to 8 weeks for Prepaid Card delivery. Above rebates are on a set of four tires. If your vehicle requires six tires, rebates are available on a prorated basis for the two additional tires. The prorated rebate amount, per additional tire, is 25% of the rebate amount listed above. The minimum purchase is a set of four tires and the maximum purchase is six tires per invoice. Limit one mail-in rebate per qualifying purchase, per visit. Cannot be combined with other Goodyear rebate offers. Offer valid only for U.S. residents who are individual consumers with mailing addresses in the U.S. or U.S. territories (American Samoa, Guam, Northern Mariana Islands, Puerto Rico, & U.S. Virgin Islands) including APO/FPO addresses. Commercial fleets are not eligible for these rebates. Not valid on previous purchases. Rebate offered by Goodyear. Offers available only at authorized Participating U.S. Warehouse Retailers. Goodyear reserves the right to substitute a check of equal value in lieu of a Prepaid Card at its discretion. Fraudulent submissions will not be honored and may be prosecuted. Sponsor is not responsible for noncomplying rebate submissions or for lost, late, illegible, postage-due or undeliverable mail. Noncomplying rebate submissions will not be honored, acknowledged or returned. Void where taxed, restricted or prohibited by law. All decisions made by Goodyear (or its authorized representatives) relating to the validity of any submissions are final and binding. This promotion is subject to all federal, state, and local laws and regulations. Retain copies of the materials you submit. Rebate paid in the form of a Goodyear Prepaid Mastercard Card. This Card is issued by Sunrise Banks N.A., Member FDIC, pursuant to a license from Mastercard International Incorporated. Mastercard is a registered trademark of Mastercard International Incorporated. This card may be used everywhere Mastercard debit cards are accepted. Registration, activation, acceptance, or use of this card constitutes acceptance of the terms and conditions stated in the Prepaid Card Agreement. Goodyear is not affiliated with Mastercard. Prepaid Cards will not have cash access. Each time you use the Card, the amount of the transaction will be deducted from the amount of your available balance. Card will be issued in the name on the redemption form only. Card expires after 6 months, subject to applicable law. Card is non-transferable and non-refundable. Terms and conditions apply to the Prepaid Card. Certain fees may apply. See Prepaid Card for details. To check the balance of your Card or receive the terms and conditions, visit visit https://login.wirecard.com/goodyearrebates or call 800-522-7458. 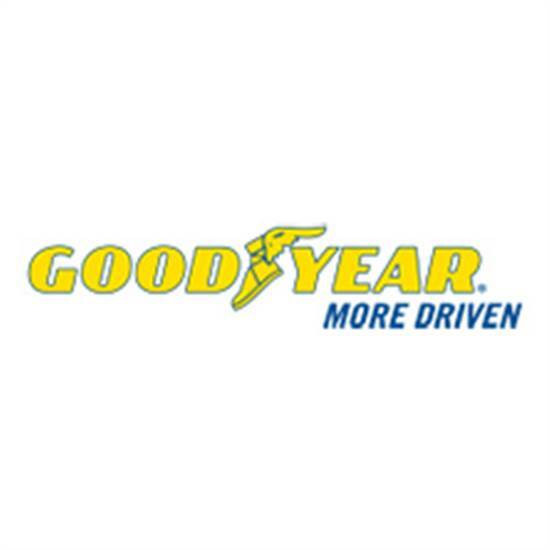 For additional questions or to check the status of your rebate, you may visit www.GoodyearTireRebates.com, email GoodyearConsumerRebates@acbcoop.com or call Goodyear Rebate Customer Service at 844-539-5503 weekdays, 8 a.m. to 8 p.m. EST; Saturday, 8 a.m. to 1 p.m. EST. Pothole? Curb? Nail? No problem! Our Subaru 24-Month Tire Protection Plan with roadside assistance comes FREE with any tire purchase. Available at participating retailers only. Ask your retailer about coverage terms and conditions. For full Terms and Conditions, click on the Redemption Form button.